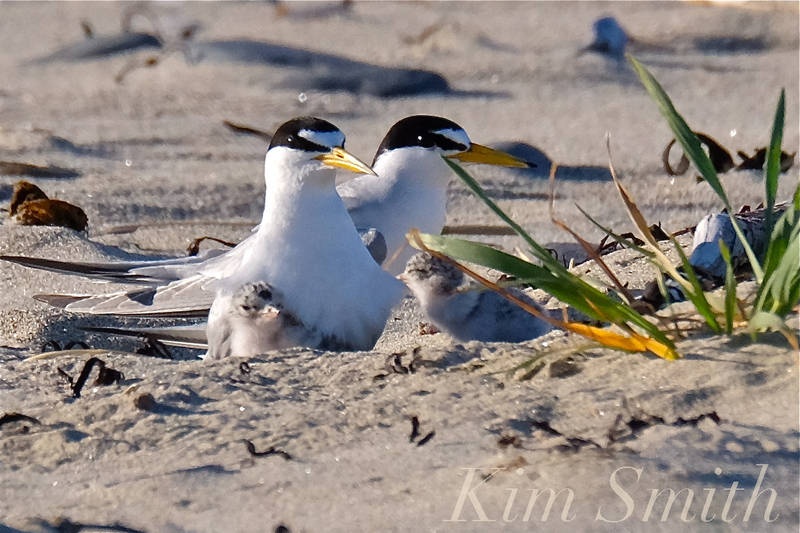 The Rosetti’s Least Terns hatched both eggs and both are chicks are doing beautifully! 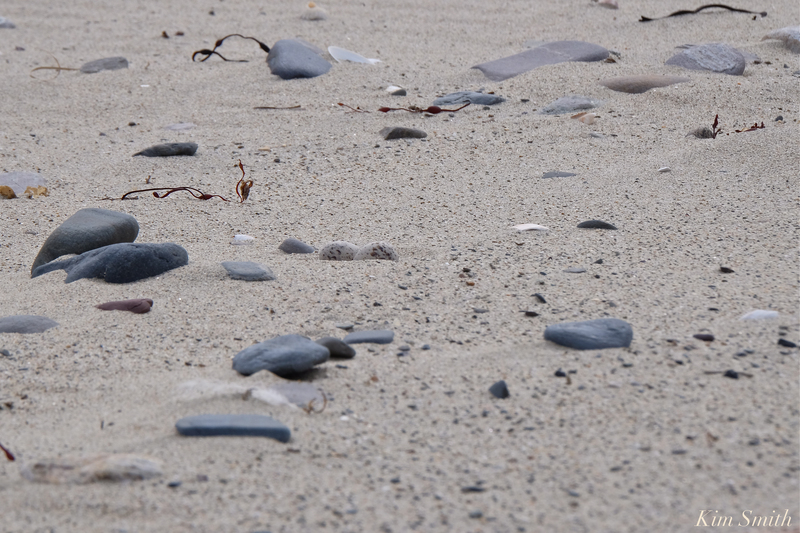 Least Tern eggs are astonishingly well camouflaged on a pebbly beach, making them nearly impossible to see. It’s easy to understand why the species is threatened, and in some regions, endangered. 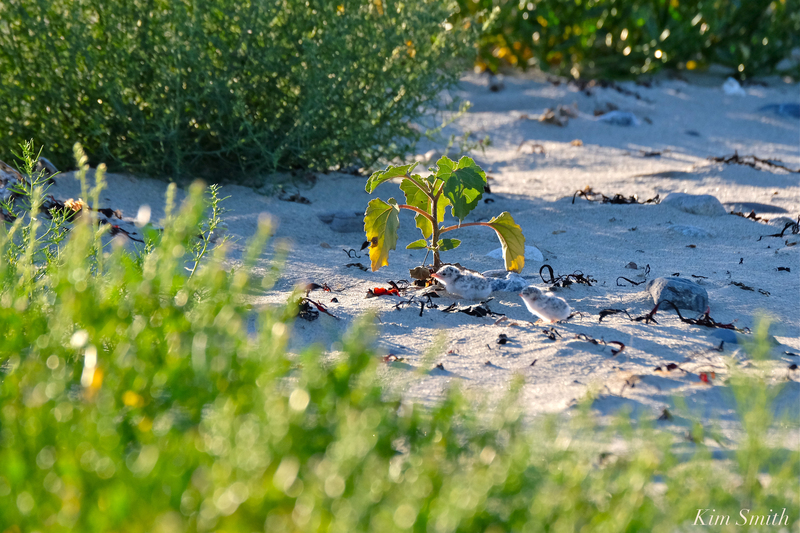 Least Terns nest on sandy beaches with little vegetation, the same type of beach habitat that people love. Piping Plovers and Least Terns often nest in association with each other. 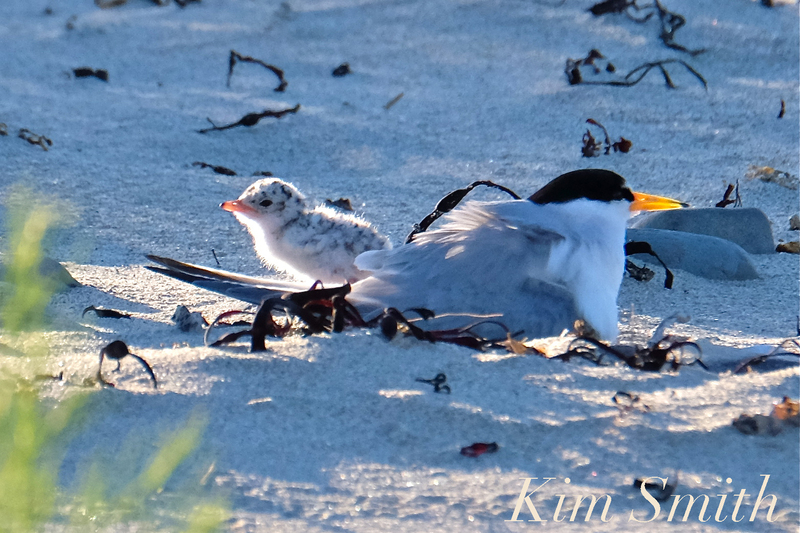 In Massachusetts, the Least Tern is considered a Species of Special Concern. 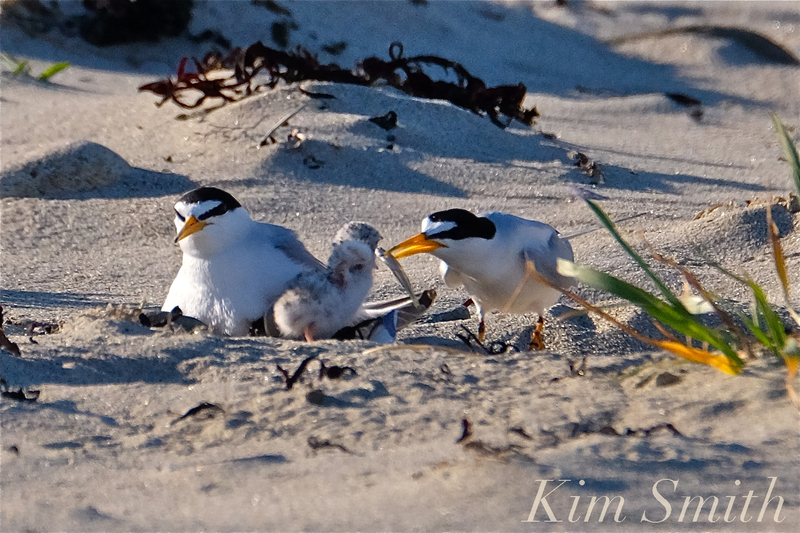 Mom and Dad Least Terns take turns brooding the eggs. Here they are changing places. 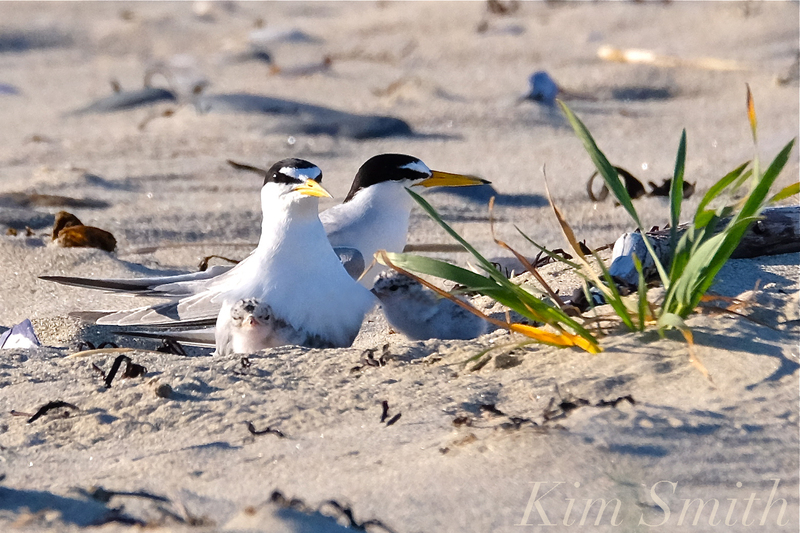 Least Terns are monogamous and the Rosetti’s Least Terns are especially good parents. Least Terns are semi-precocial. 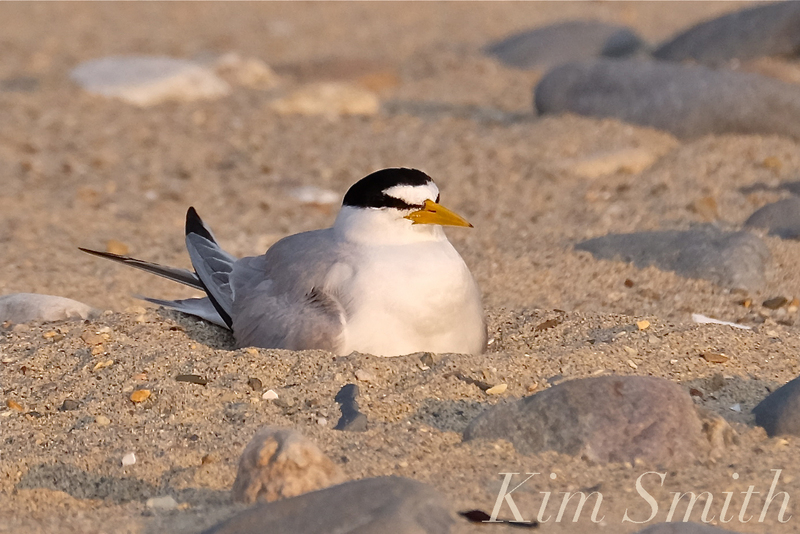 Like Piping Plovers, which are fully precocial, Least Terns are mobile after one or two days and can leave the nest. Unlike Piping Plovers, they cannot feed themselves and will be fed for the next eight weeks by Mom and Dad, a diet consisting mostly of tiny fish. Tiny minnows, for tiny chicks. Dad does most of the feeding while Mom mostly broods the babies during the first few days. As the nestlings grow, the parents feed the chicks increasingly larger fish. First day venturing away from the nest, and then returning to Mom for warmth and protection. Just as the eggs are perfectly camouflaged, so too are the tiny nestlings. 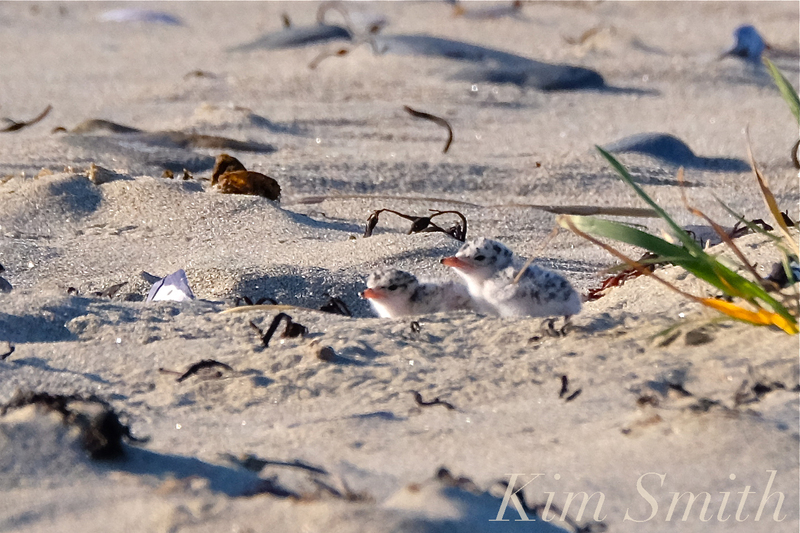 Almost as adorable as are Piping Plover chicks are Least Tern chicks. However, they are much, much harder to film and to photograph. Least Terns are shyer of humankind than are Piping Plovers. Anyone who has seen PiPl in action know that they have a high tolerance for people and may come right up to you especially if you are standing perfectly still and are perfectly quiet. Least Terns on the other hand are elusive and skittish. The nestlings quickly take cover behind a rock or clump of beach vegetation when disturbed. The Mom and Dad when both courting and nesting will let you know if you are too close by dive bombing and if you still can’t take a hint, will poop on your head. If either happens, then you know for sure you are way too close and are interfering with the chicks feeding. Back away and observe from a more considerate (considerate-to-the-Terns distance that is). Unfortunately, I recently observed a fellow photographer repeatedly being dive-bombed by a nesting pair of Terns, and that person has a humongously long telephoto lens. She would have gotten perfectly lovely photos from a distance more respectful of the Terns. This entry was posted in Birds, Birds of New England, Life at the Edge of the Sea, Piping Plover, shorebirds and tagged #ShareThe Shore, #shorebirdsgoingextinct, Cafe Rosetti's, Courtship feeding birds, Least Tern, Least tern chicks one day old, Least Tern courtship display, Least Tern courtship feeding display, Least Tern Eggs, Least Terns nesting, Piping Plover, Piping Plover chicks, precocial birds, Rosetti's chicks, Rosetti's Least Terns, Rosetti's Piping Plovers, semi-precocial birds, Sternula antillarum, Winthrop Beach, Winthrop Shore Drive, Winthrop Shores Reservation on July 30, 2018 by Kim Smith.